With a “minimalist” hood design that’s only 2” high, the stainless steel Mezzano is in step with today’s world of flat-panel TVs and other futuristic products with clean, architectural lines. 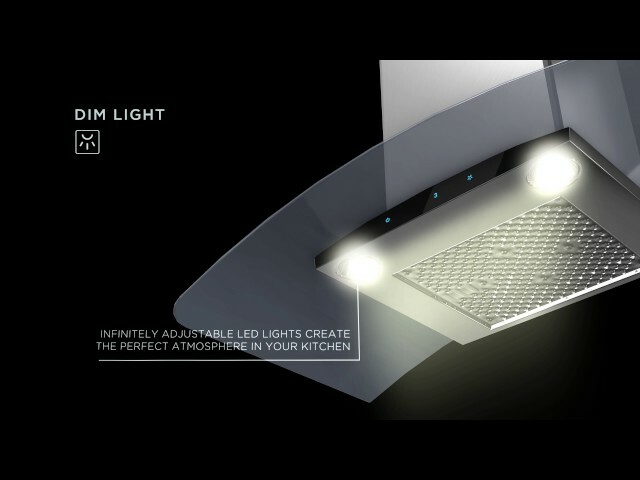 MEZZANO has LED dimmable lighting, stainless steel microhole filters and glass touch controls that are hidden when the hood is off. 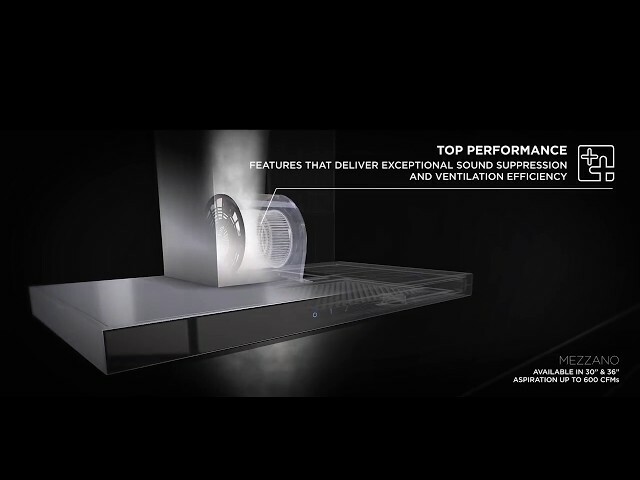 It's also equipped with HUSH Sound Suppression that reduces sound up to 35%, allowing you to comfortably cook and entertain at the same time. MEZZANO can also be installed as a recirculating system using the available Recirculating Kit.